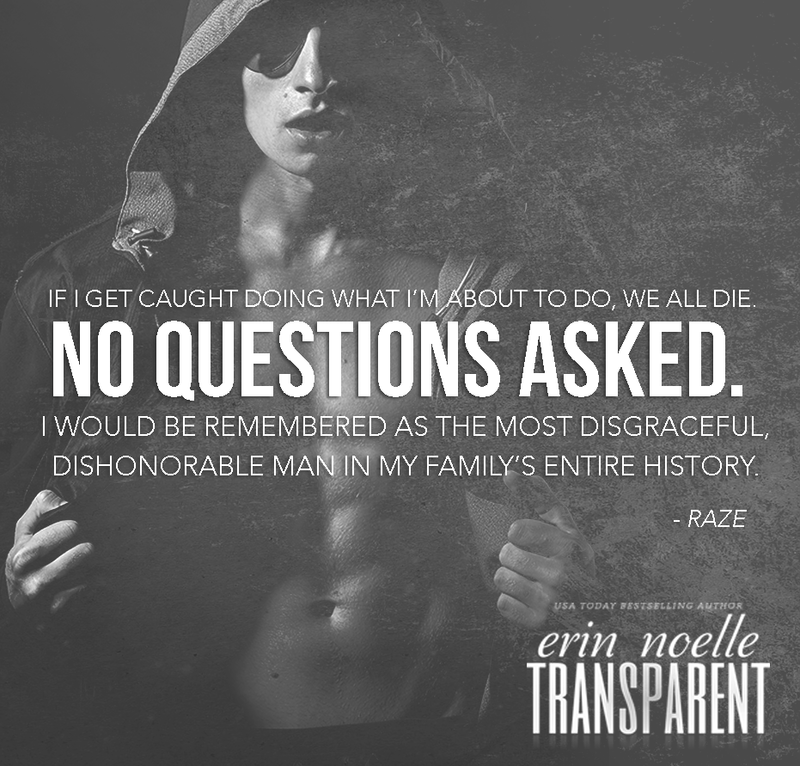 To say that I was excited when I saw that Erin Noelle had penned a sequel to Translucent would be a severe understatement. This was one of those books that I had always wanted to read as I was desperate for more. I wanted to know what happened after and most of all I wanted to know that Blake/Bryleigh was okay. This girl just could not cut a break, just when you thought that she had it all, it seemed that her past was coming back to haunt her in the worst way. At the end of Translucent we were left with the mother of all cliff hangers and this book begins where Translucent ended. Blake had been kidnapped. Just when Blake had found happiness that happiness is ripped out from under her. Finally, Blake had found someone she loved, even if she had not been brave enough to utter those three little words. She was still extremely guarded, she had to be but with Madden Decker she could finally be herself. Madden was head over heels in love, even though they had not been together that long there was nothing he wouldn’t do for Blake and little did he know those limits would be tested so soon. Once Madden shockingly realises what has actually happened he becomes Blake’s knight in shining armour, even if that meant putting his own life on the line. This book centres around Blake’s captivity and Madden and the FBI’s attempts at finding her before she meets a grisly end. 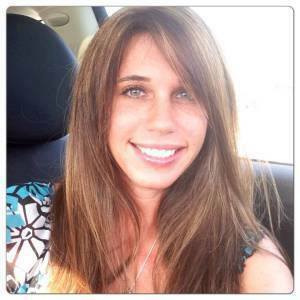 Once it becomes apparent that she has been abducted by the mafia, many questions are raised. How did they find her and most importantly, why did they want her? 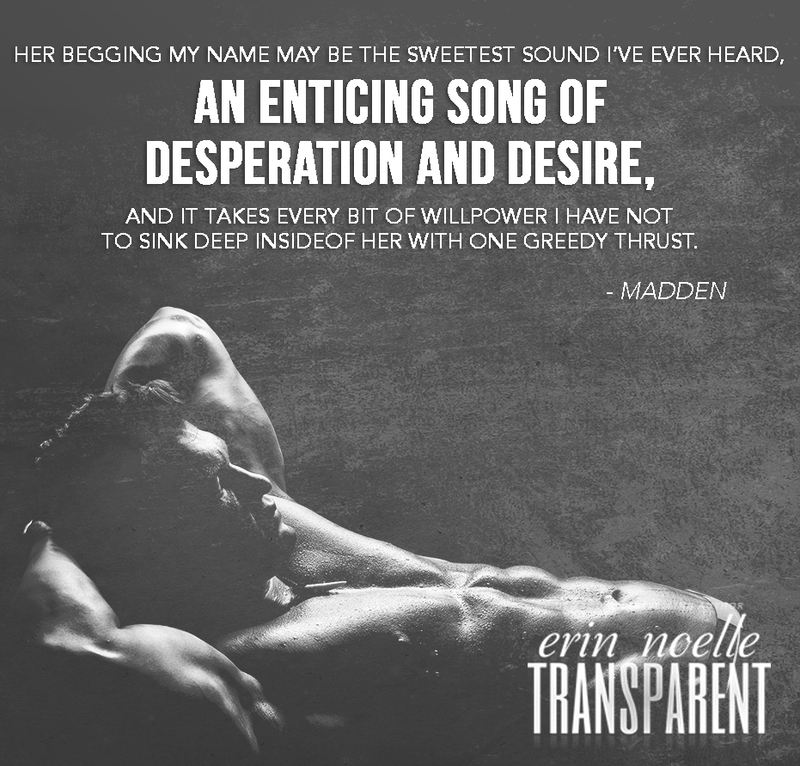 Erin Noelle really captured Madden’s desperation, my heart broke for him so many times and his sometimes rash actions had my heart bleeding for him. It takes something like this to make a person realise just how much someone means to them and it is here that Madden really appreciates just how strong his feelings and love is for Blake. He will do anything…give up everything if he could only get Blake back and it is also here that Madden finds out who he could really trust. 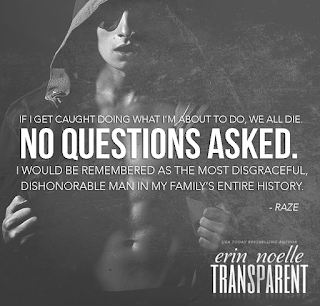 I have to mention Raze, this man, gah this man really got to me. A victim of the blood that ran through his veins, this man had lost so much and felt he had no purpose in life, but he was so much more than he thought. This man had a huge heart and no matter the ramifications he finally wanted redemption. He got it in the end. This man had me in tears so many times, such a beautiful character and one that I wished I knew more about. He was deep and troubled but he was just a lost soul that had lost his soul mate and had never recovered. I desperately wanted to cuddle him, hug him, just give him some love. In summary, I loved this book, I loved the conclusion, I LOVED the fact that the author did NOT make this a love triangle but something much deeper, much more believable and so much more tangible. This was a story of righting a lot of wrongs. I would love a book about Madden’s brother, Easton. Another complex character who I am sure has an incredibly interesting and eventful story to tell. Plus, we may get more Raze! !